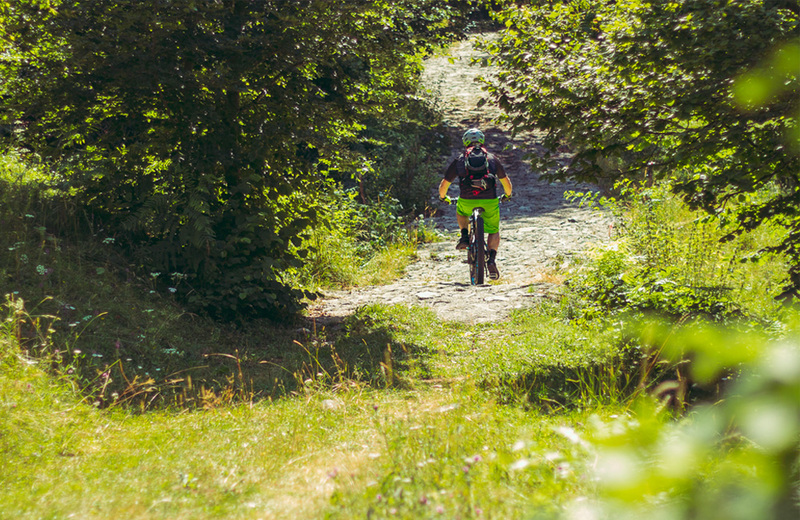 Our goal is to guide you safely in an emotional journey, riding the right bike on the most correct trail for your riding skills and style, to make you enjoy the MTB experience. 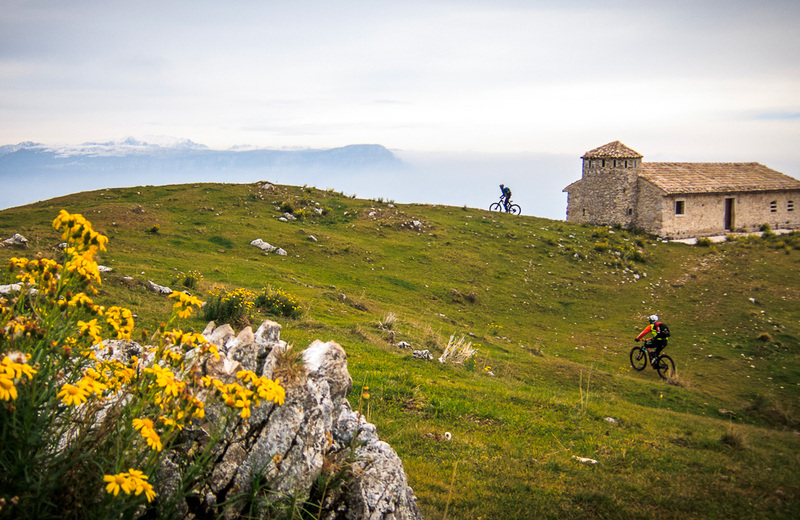 We think that an MTB makes the riding esperience immersive, enjoying mountain with the appropriate “slow” pace makes the tour’s memories indelible. 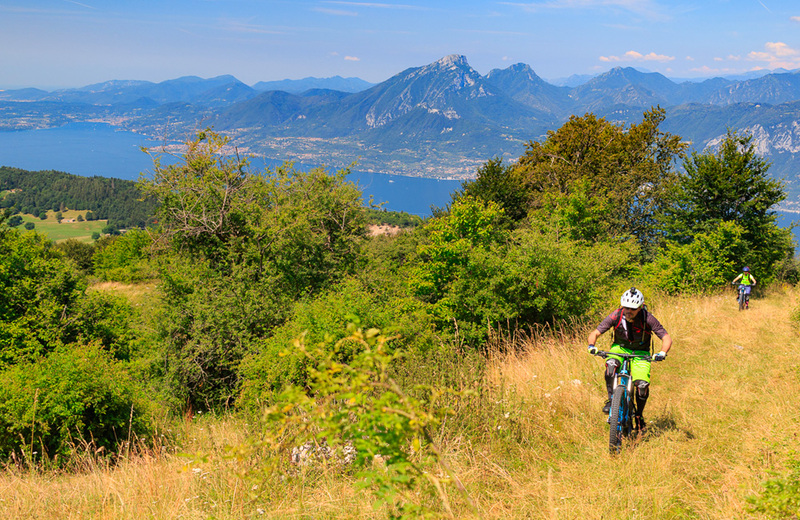 Today’s E-MTB make this experience possible for anyone, even the less trained riders. 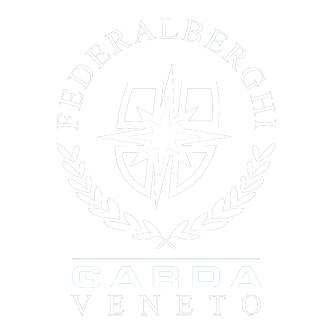 That’s in the end, the origin of our brand!.  Don’t think we’ve mistaken English, it’s a pun and it’s also the acronymous of ALL-MOUNTAIN SLOW TOURS. 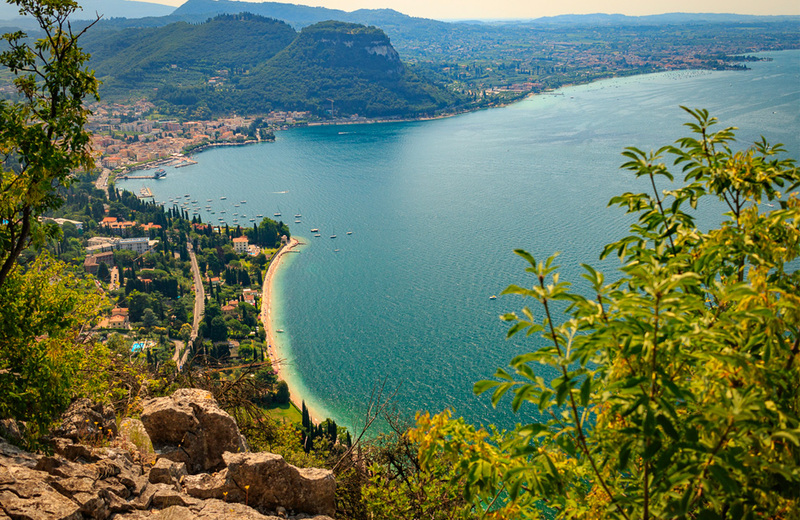 > Higly panoramic tour, starting from Lake Garda shores climbing first to Crero (200m height) and then heading to Albisano (300m height) through the “Pellegrino” forest road (gravel/rocky surface). 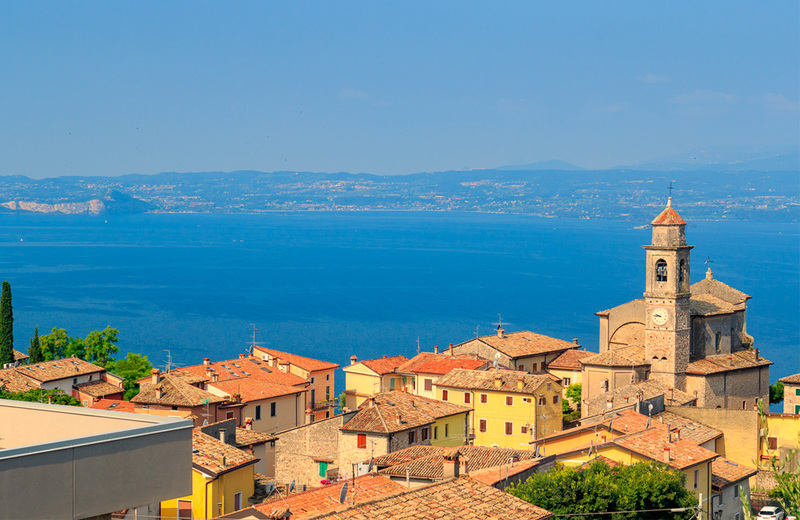 In the relatively short distance among the two villages, the panorama will vary from the North Lake Garda landscape, with views on Riva and Torbole, Limone, Malcesine, to the South Lake Garda view, admiring Torri at our feet, and on the west coast Toscolano, Salò, Manerba, Sirmione. 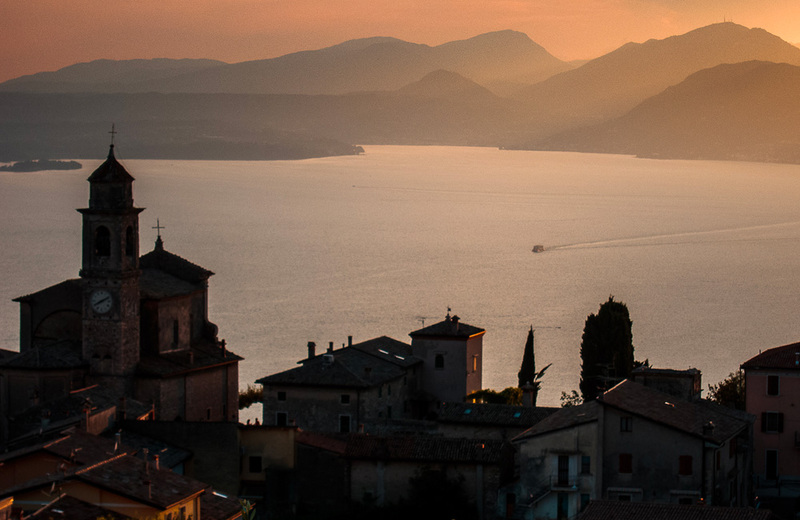 The luckiest of us, in the most clear days, will also be able to see the Appennini mountains skyline. 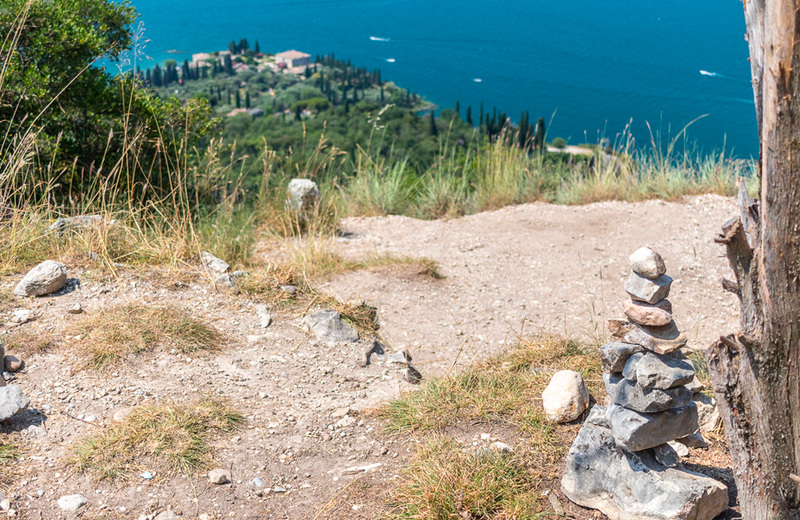 During the tour, should not be missed a short walk to the pre-historic graffiti area to see how the plain stone, typical of Monte Baldo, were used in the past as natural blackboards. 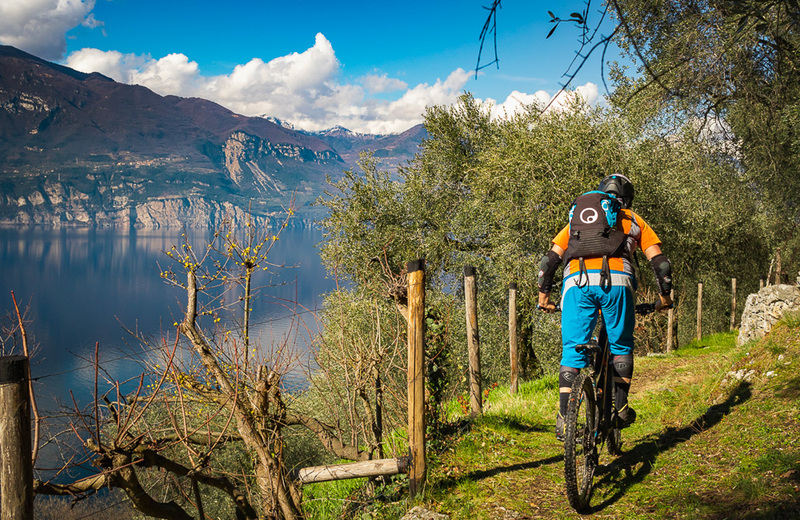 E-MTB Tour, discovering the variety of Lake Garda landscapes, immersed in nature along the Via del Pellegrino between Crero and Albisano. 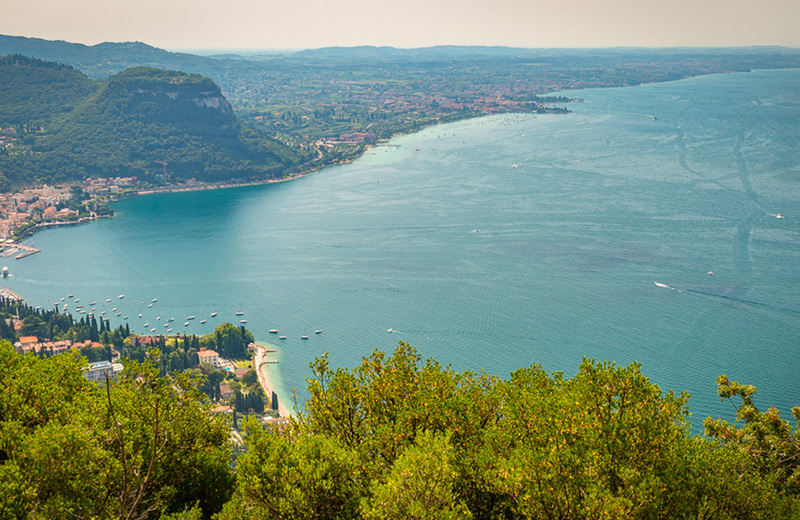 Garda Lake astonishing sceneries vary in just a few minutes ride: from the sunny beach to the mountain view, you only need to know where to go. During this tour, we will discover how two greatly different landscapes can be seen in a rather short distance: the Northern “fjord shape” view and the Southern “seaside” panorama. 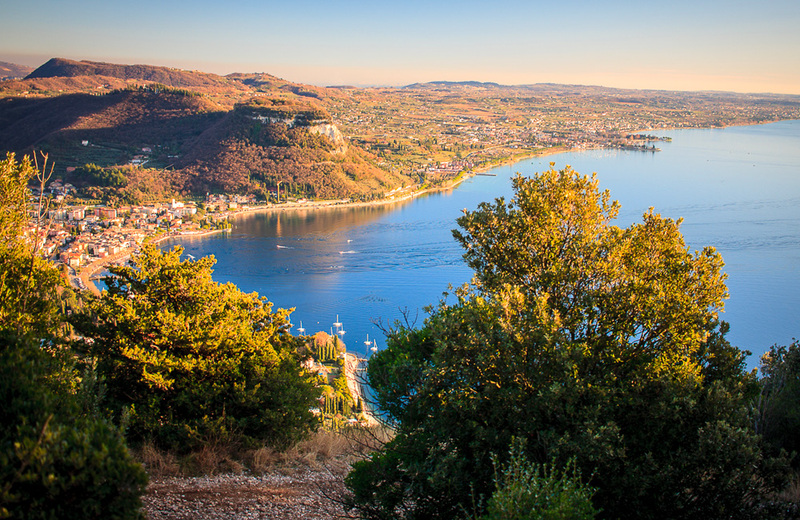 from Lake Garda shores climbing first to Crero (200m height) and then heading to Albisano (300m height) through the “Pellegrino” forest road, (gravel/rocky surface). 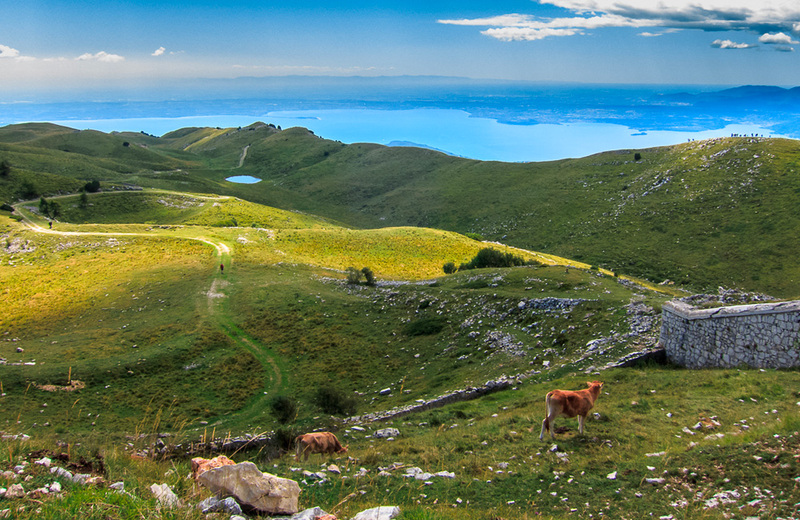 During the tour, should not be missed a short walk to the pre-historic graffiti area to see how the plain stone, typical of Monte Baldo, were used in the past as natural blackboards. 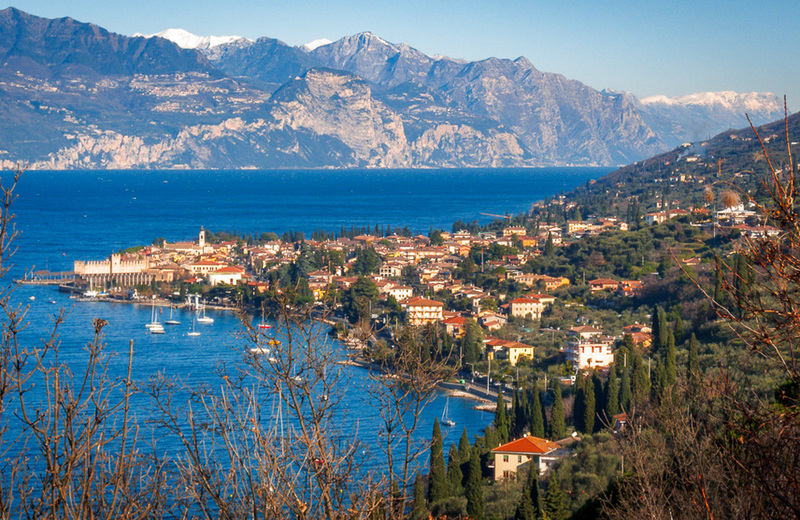 In the relatively short distance among the two villages, the panorama will vary from the North Lake Garda landscape, with views on Riva and Torbole, Limone, Malcesine, to the South Lake Garda view, admiring Torri del Benaco at our feet, and on the west coast Toscolano Maderno, Salò, Manerba, Sirmione. 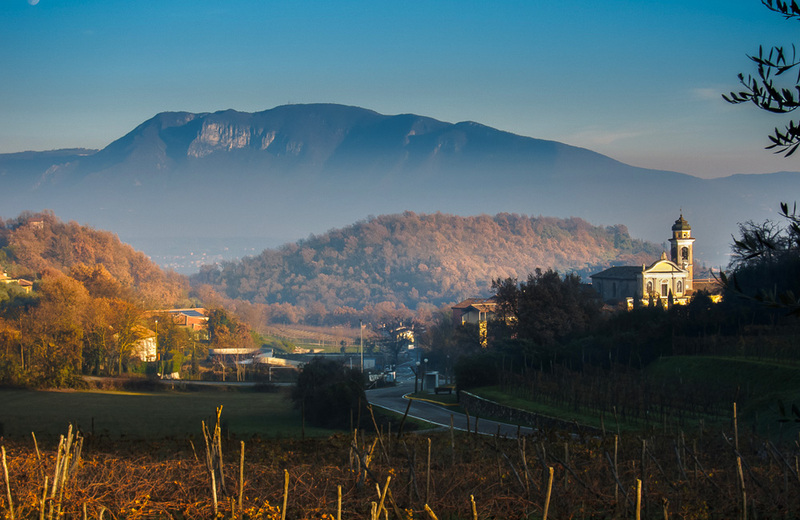 The luckiest of us, in the most clear days, will also be able to see the Appennini mountains skyline. 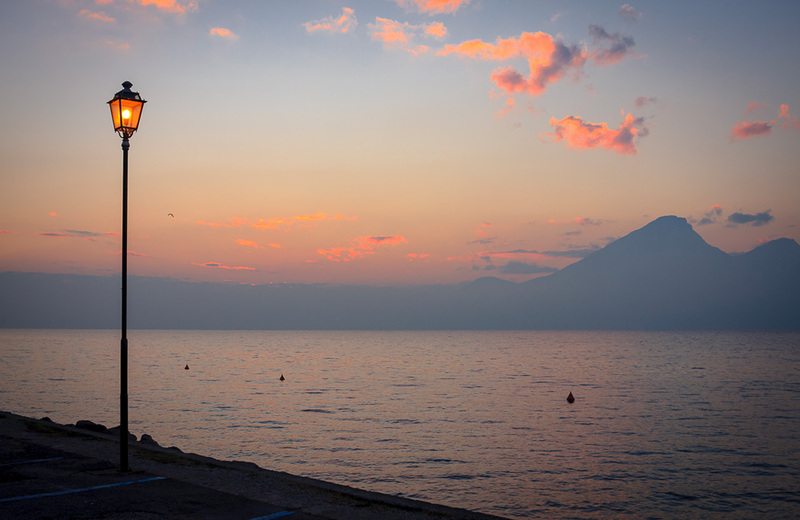 We always have a plan B … B as “beautiful”! 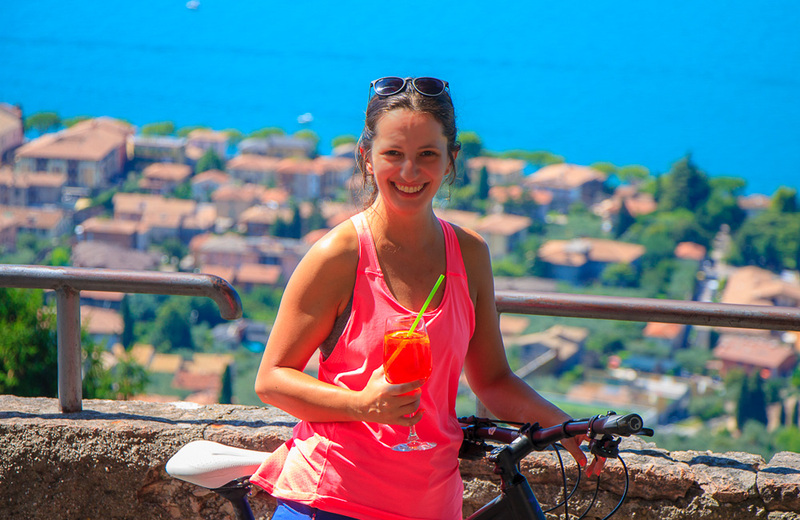 The way back is not obliged, we think that you will be so enchanted by the landscape and the feeling of freedom that this ride gives (and the refreshing drink that we’ll have…) not to want to leave the belvedere of Albisano too soon. 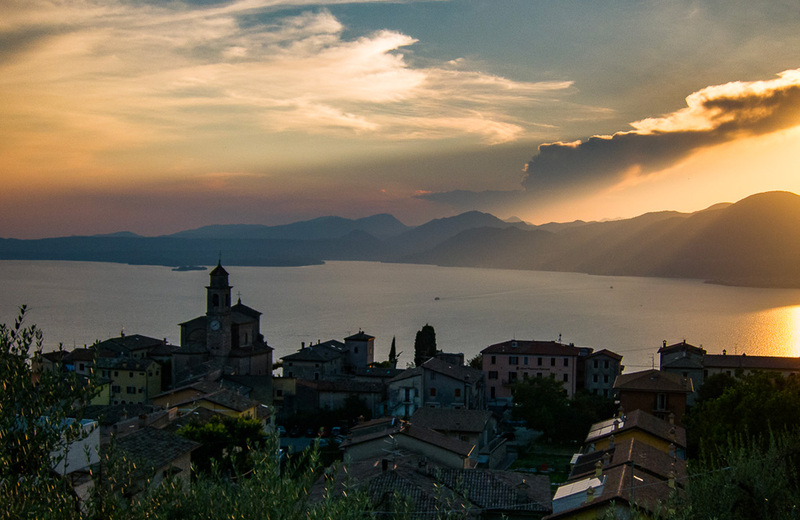 And so we will decide together the way back, perhaps extending the tour to go admire the church of Marciaga at sunset, or go down to Garda and ride the way back along the ancient communication routes of Lake Garda, suspended above the coast. 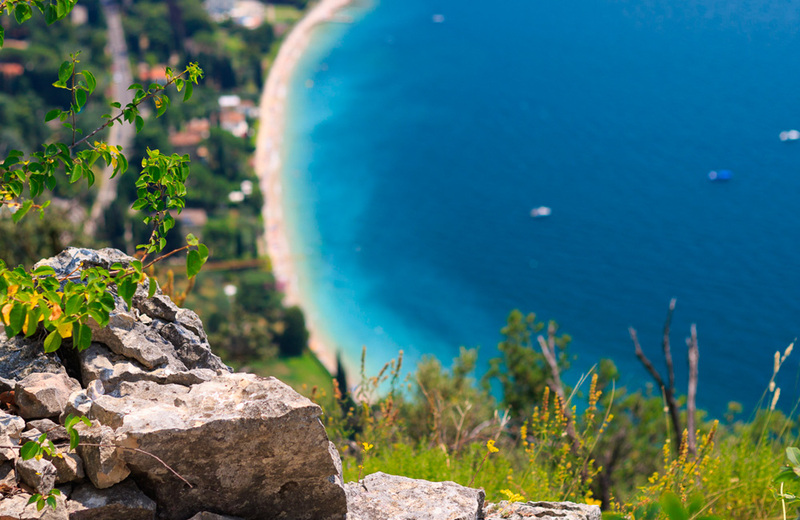 Are you curious to find out which “refreshing drink” is the most popular of this tour? 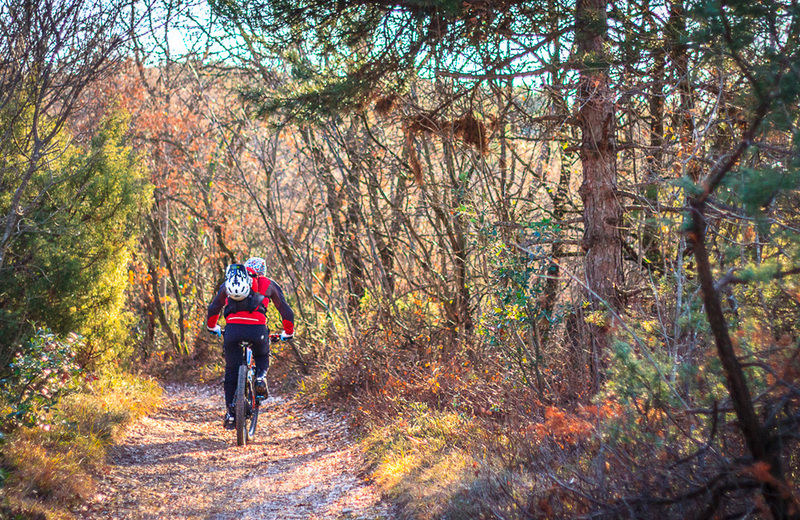 E-MTB Half day ride for beginners who want to try a full suspension bike. 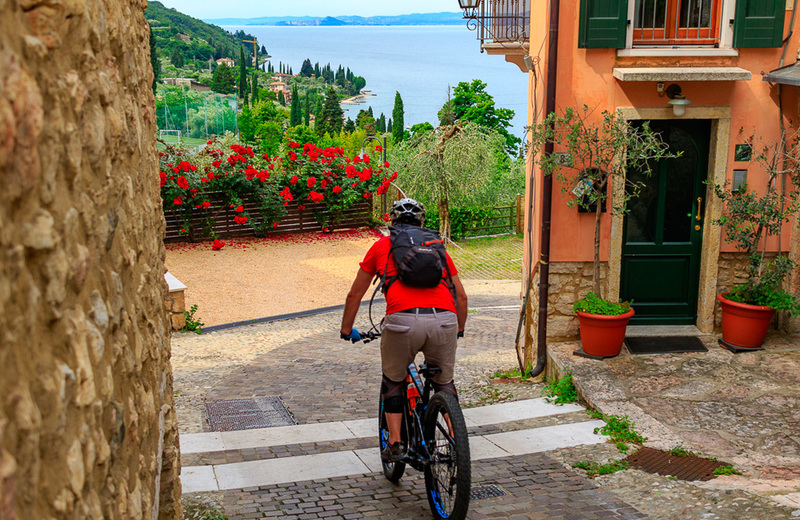 Greatly panoramic tour, leading us from Lake Garda shores to Cà Tronconi village, through a short but steep gravel trail (100m climb in total). We’ll learn how to properly use the E-MTB tech and also the dual suspension system. The way back to Pai will be a wonderful pavèe road winding among olive trees and the ancient building in the heart of Pai village. Total length 4km – mixed surface (asphalt, concrete, gravel). 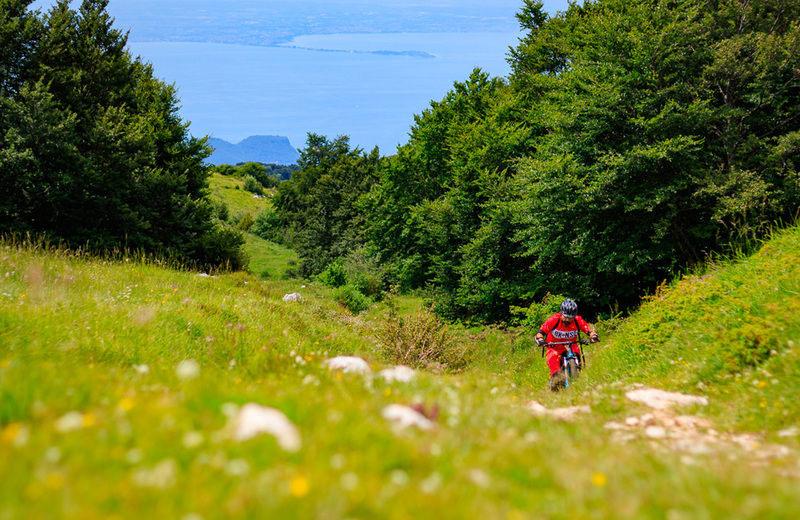 > Starting from Garda, the ride will bring us to Albisano and Mount Luppia through Val dei Mulini and Val Longa dirt roads, we will climb around 500m before arriving to a technical single trail, where the least skilled riders will walk the bike for few minutes. Experts, on the other hand, will enjoy a natural rocky and roooty surface ride. In the end, this is a ride for all tastes which cannot be missed by anyone! 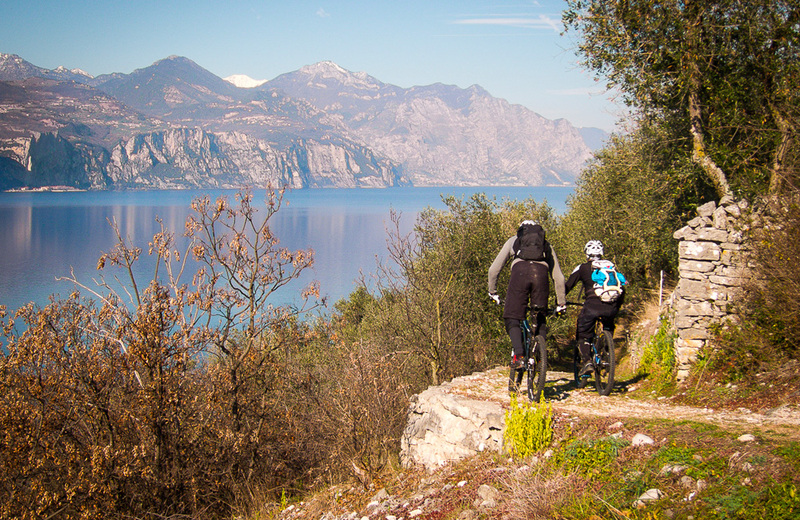 Overlooking Garda, Punta San Vigilio and Baia delle Sirene: an E-MTB tour on Monte Luppia. 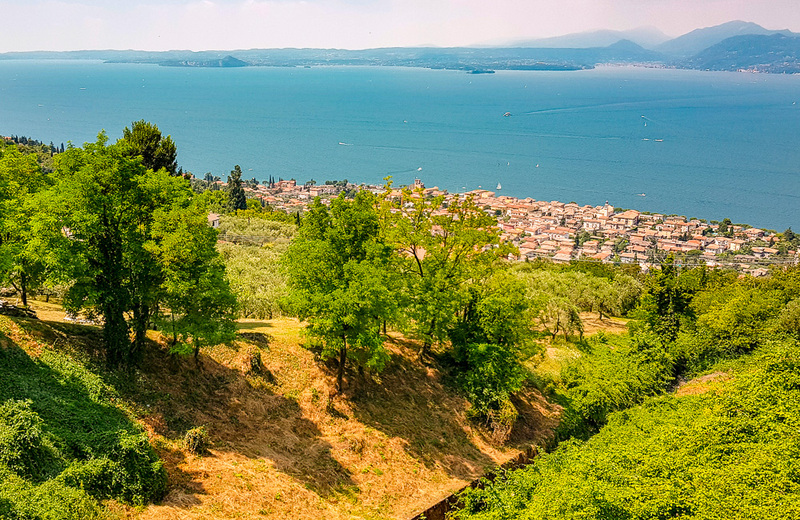 the Rocca and the Monte Luppia overlook the city of Garda and its gulf, which ends with the spectacular Punta San Vigilio. 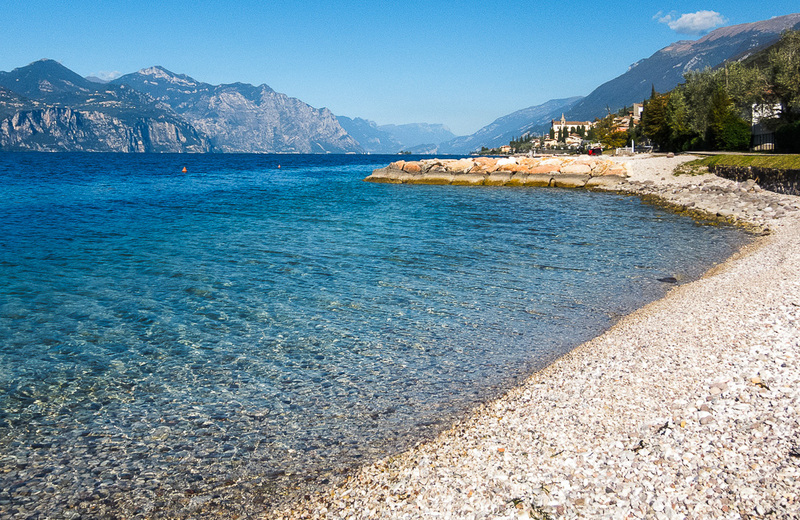 Just turn the corner and there we are, the magnificent and quiet Baia delle Sirene appears. 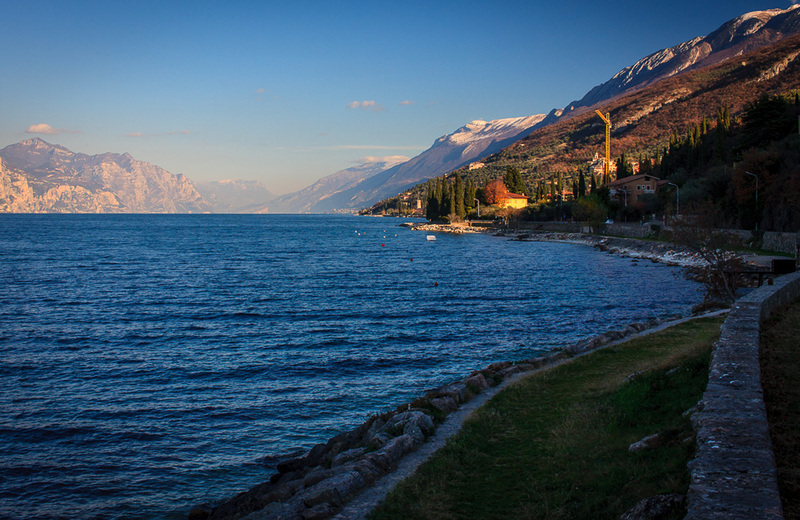 We will therefore start our tour in Garda, reaching some of these “observation” points which are some of the most scenic of the lake. We could easily spend hours just staring at the landscape: only the nightfall will make us return, although that would not be a sufficient reason. 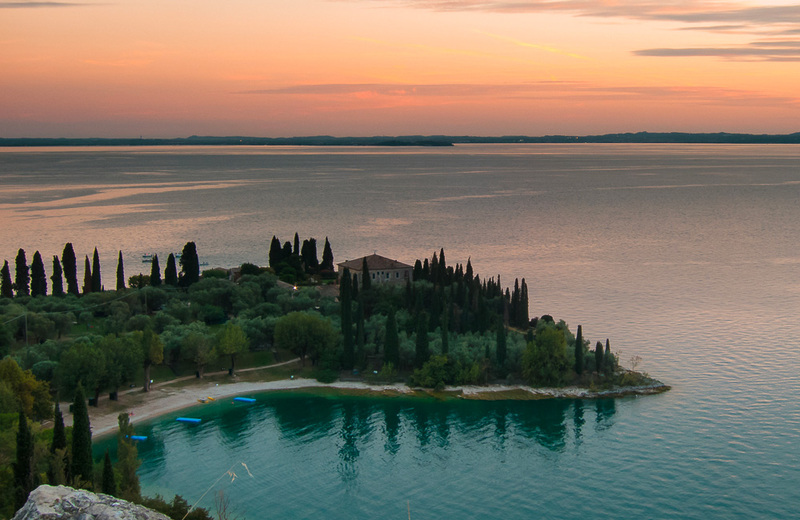 In fact, if started in the late afternoon, this tour could become a thrilling nightride, hunting falling stars or the full moon mirroring in the water of the Lake. 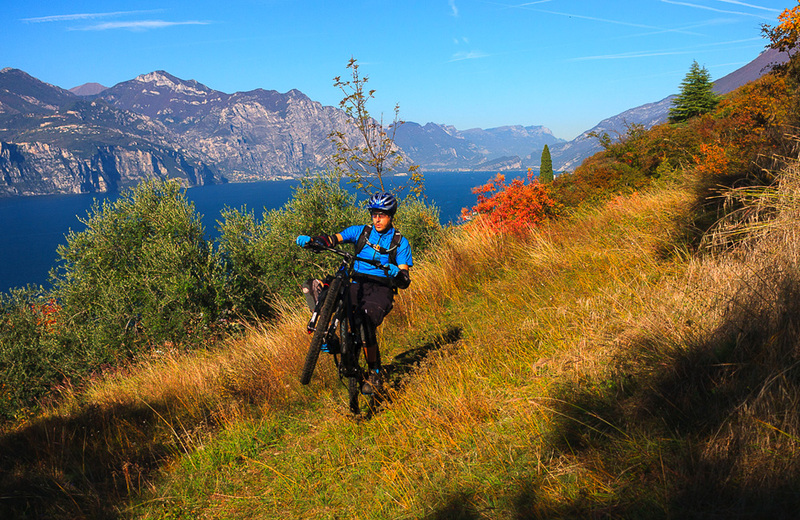 Among my memories of young MTB explorer of Lake Garda territory, one of the most vivid is related to the first time I rode on Monte Luppia. 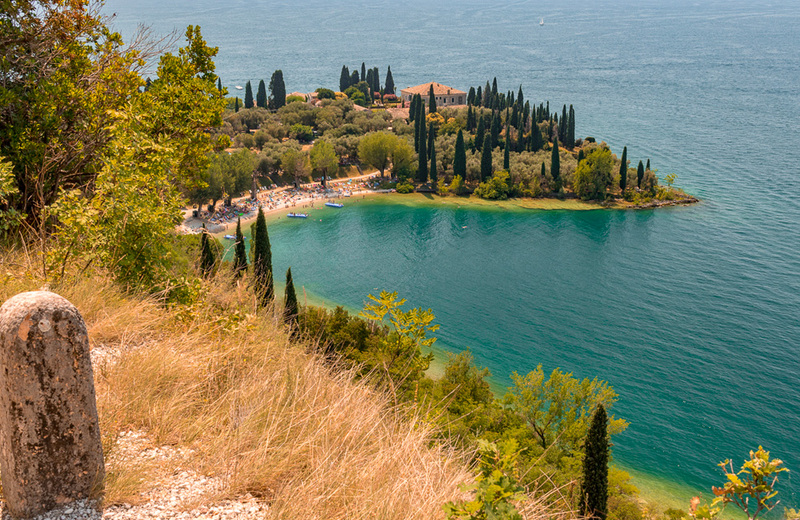 This cliff dives into the lake in the place called Punta San Vigilio, the promontory that embraces Baia delle Sirene, and at my debut here, I walked almost all the time. 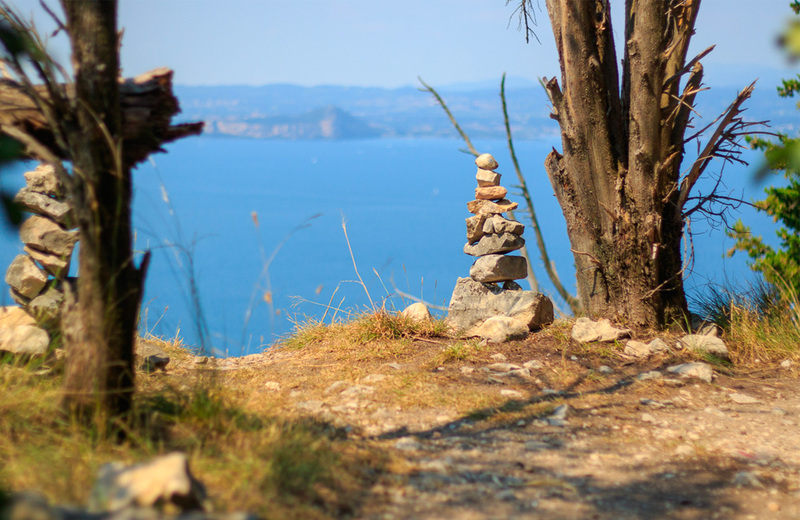 The uphill part was too heavy for my legs which were already fatigued by several hundreds of climb, whereas the downhill sections were rather tricky, often on the edge of the mount overlooking the lake from around 200 meters height. The funny thing is that I also walked the flat sections!! 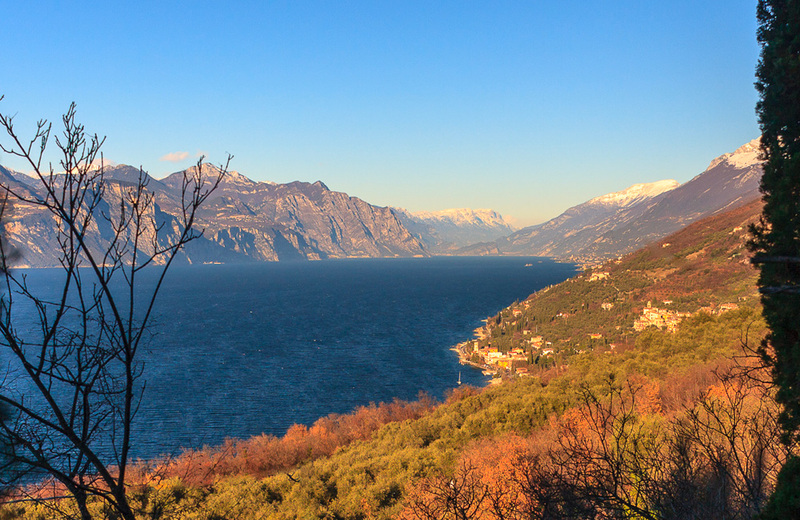 The reason why is soon said, and perhaps you can understand it by looking at some of my photos: Monte Luppia is the watershed between southern and northern part (the one I call “the fjord) of lake Garda, and overlooks the two bays, or rather the Gulf of Garda and Baia delle Sirene. 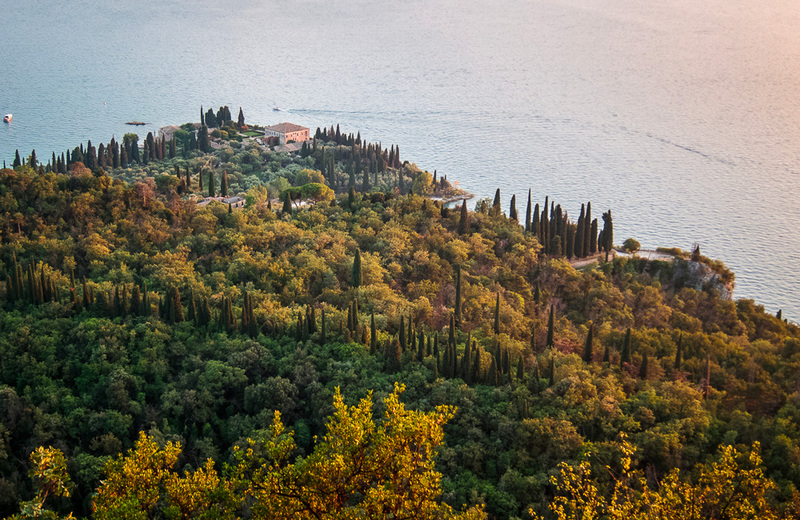 In the middle of that, after a short walk in a pinewood, between two cypress trees appears the beautiful view of Punta San Vigilio, as nowhere else is possible. 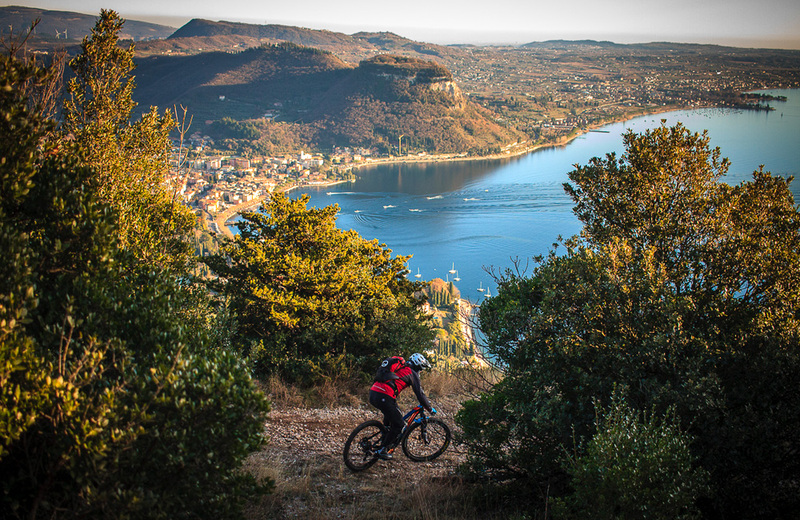 Proposing this E-MTB tour makes me feel a privileged. I am a person who has always believed in sharing the knowledge, in the transmission of deep values that are those of humanity and team spirit, a group of people that is not in competition, but in evolution. 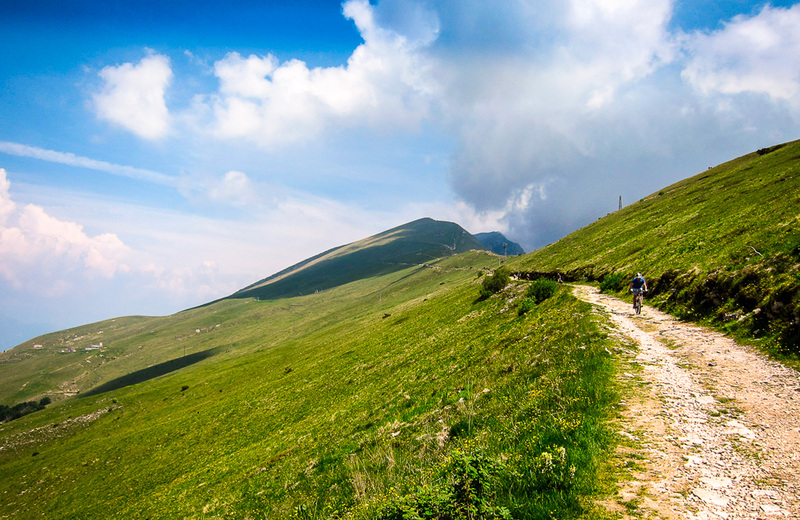 Few years ago such views could only be achieved by a limited number of persons through a long and difficult trekking/bike ride, whereas nowadays E-bikes can be pedaled up there by almost anyone with basic skills on off road cycling. Would you like to join me in this journey? 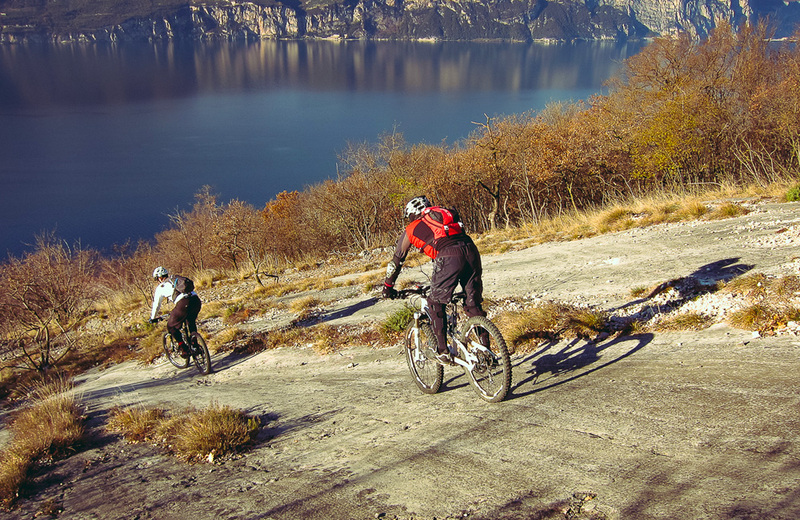 > E-MTB Half day tour for well trained expert riders. > This tour will climb around 1.000m through dirt roads, with some rocky sections. 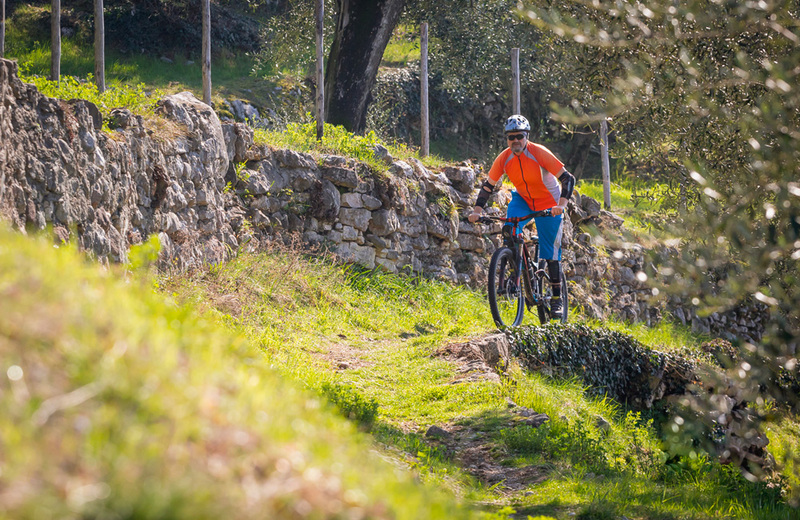 The downhill part will be on a moderately steep technical single trail with loose rocks, stones, narrow sections and – in general – natural surface. 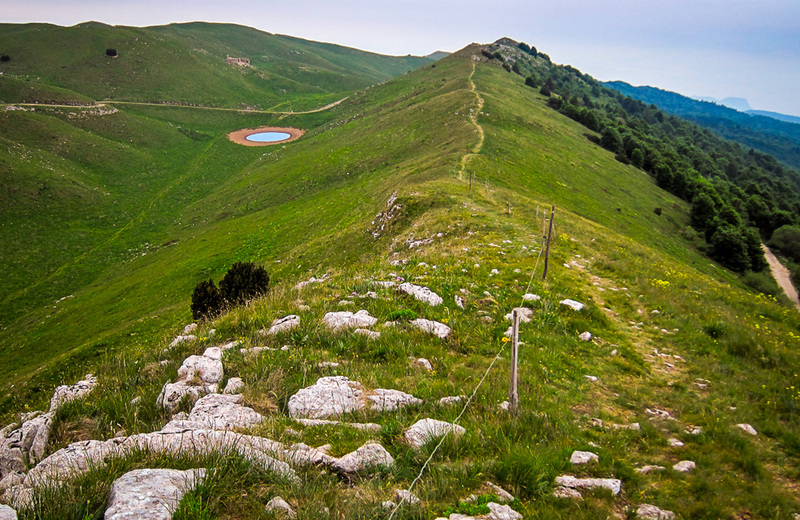 Starting from Prada alta (980m height) we will climb up to Forte di Naole (1.675m height). 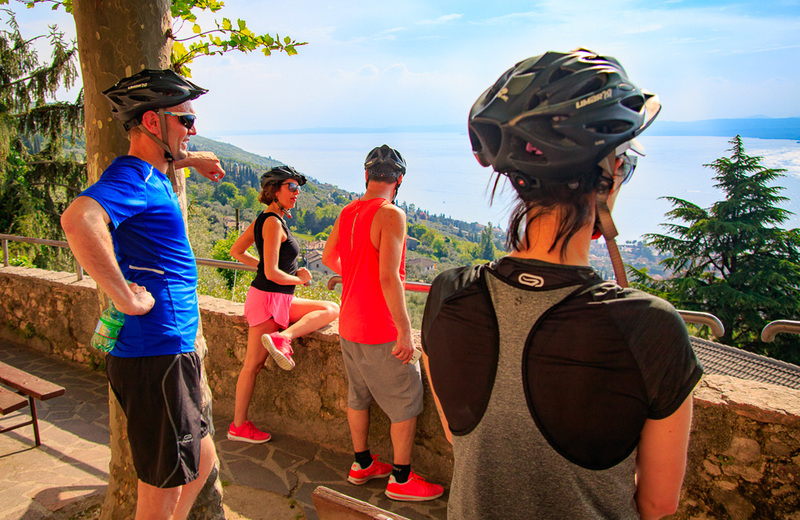 Our rest break, before getting dressed with protections and wear our full face helmet, will be sitting on the grass, staring at the whole Padana plain… only the idea of an adrenalinic one-thousand meters descent will make us stand-up and leave! 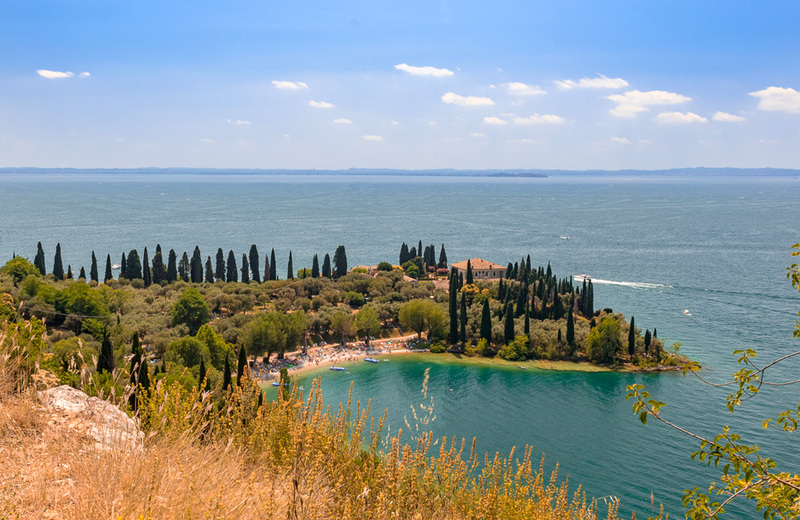 Come with us to a viewpoint where we’ll have our lunch break sitting on the grass, staring at the whole Padana plain. 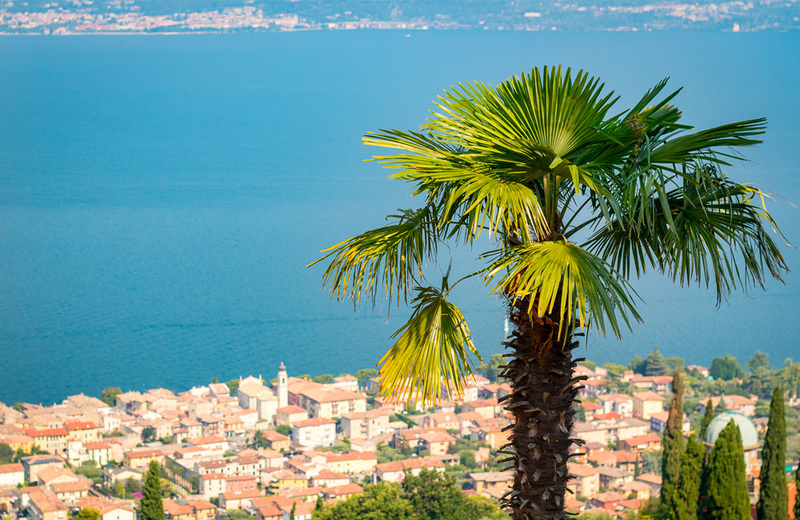 On Lake Garda, when the summer becomes too hot, in those days when even water is not fresh enough, the direction to look is the mountain. 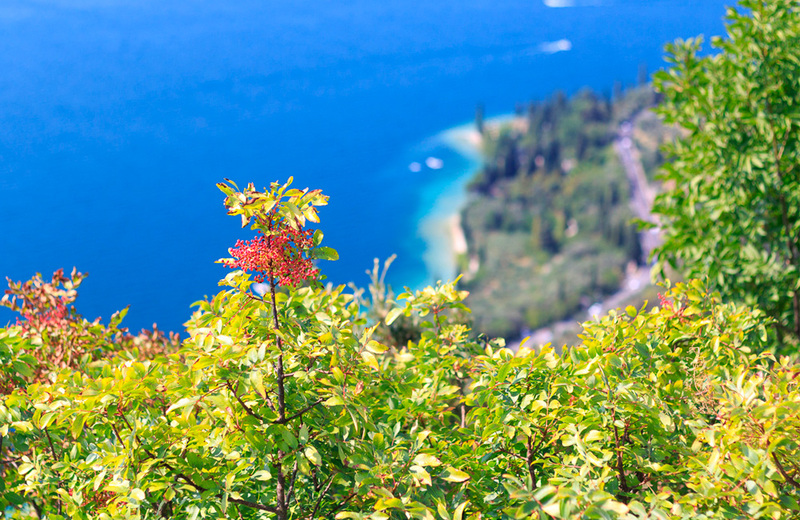 In a few minutes of travel, from the shores of Lake Garda we can reach altitudes where the fresh air helps energies regain their strength. 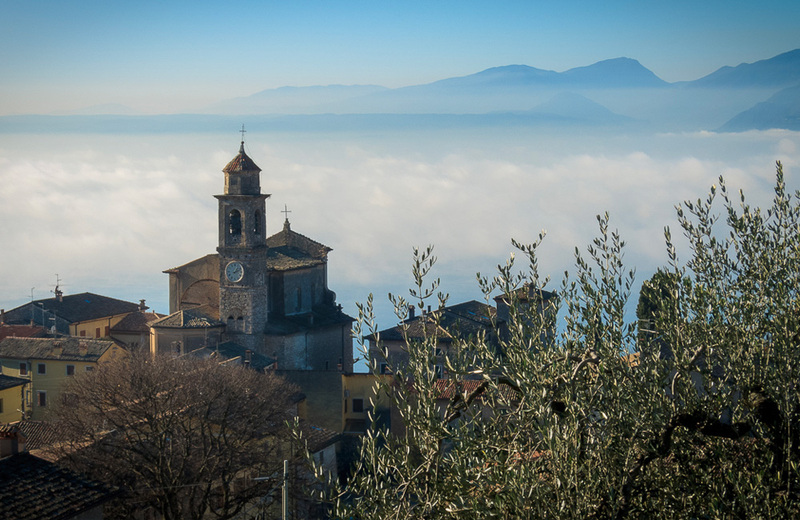 The starting point for this adventure will therefore be almost 1.000masl: we will travel a forest road that climbs up Mount Baldo in the shade of chestnut, beech and birch, with panoramic views to the south and east, a prelude to what we will experience once reached our destination. 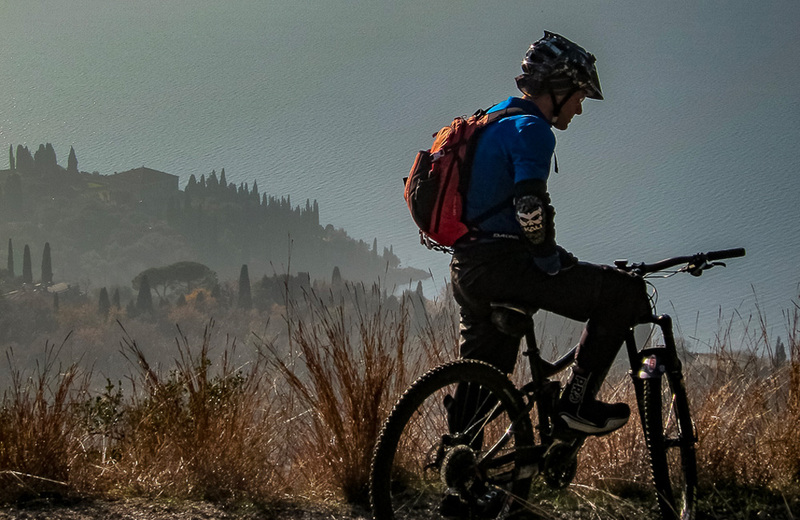 The fantastic Shimano Steps 8000 electric motor fitted on our Focus Jam2 LTD Plus E-MTBs can be put in the minimum assistance set-up “ECO” mode, to make some training, or just put in “BOOST” mode to enjoy effortless the fresh air and the panorama! The clock will already be just a far memory of civilization, we will adjust the pace to our capability, we will stop for the first photographs, we will watch a bird of prey, we will chat about this and that to know each other, because this tour has only one goal: to enjoy the beauty of the territory and make you escape from the ordinary and feel part of the extraordinary! I’m not hiding it to you: reaching the destination of this excursion requires also a bit of physical effort. In order to clarify the uniqueness of this place, I had to be patient, go up several times and finally find the day to shoot some of the best photos. 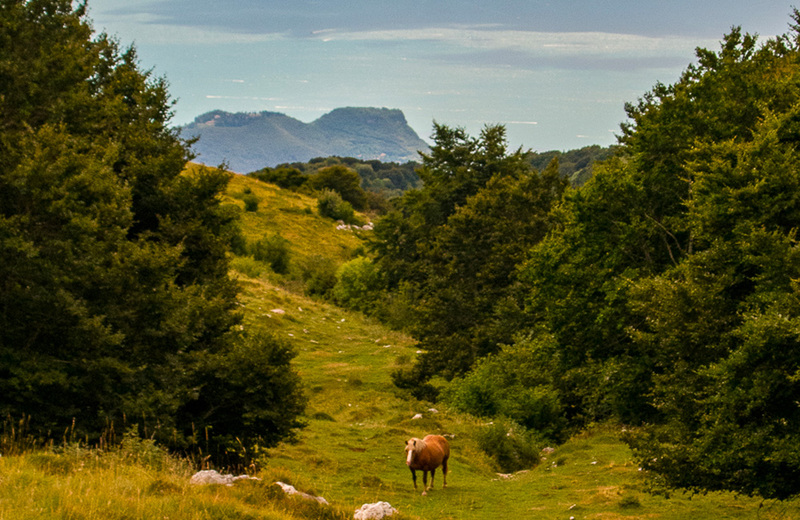 If we’ll be lucky, we will enjoy a well-deserved rest sitting in a meadow that literally dominates … the world! Are you a descent lover? Fort Naole has become an absolute “must” destination for the clearest days. 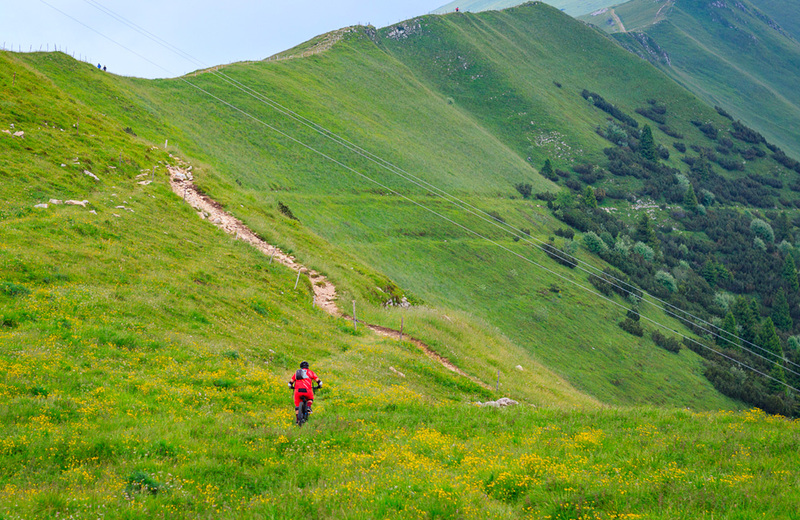 The beauty of the panorama is only half of the pleasure: the descent, or better, the various options of descents, turn this tour into a real All-Mountain experience. 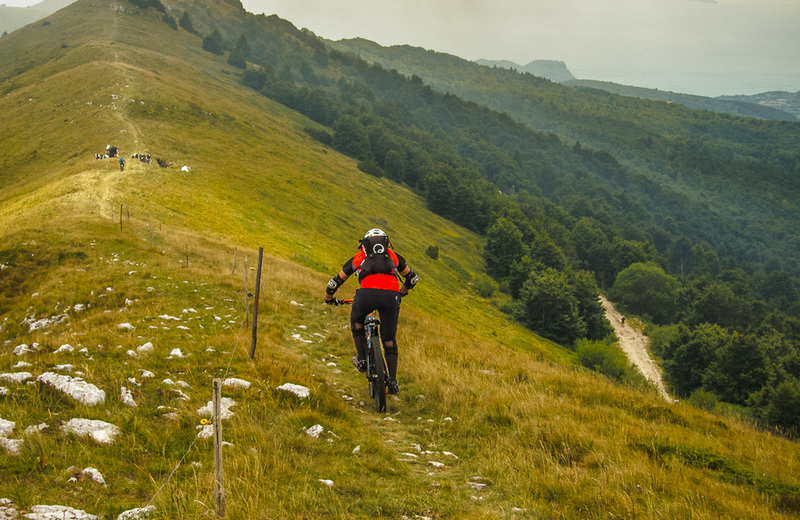 If you are not yet familiar with “gravity” disciplines, but you cannot wait to improve your level, we have everything you need to practice: time, space and … the right terrain. 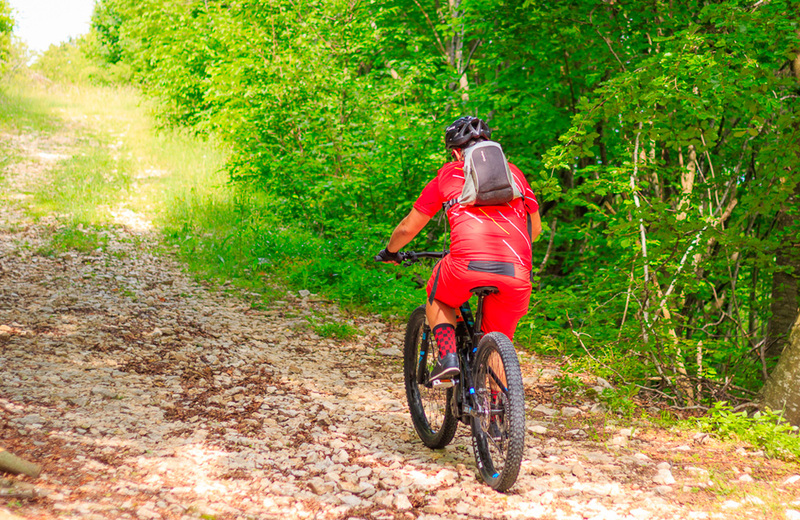 If the descent is not your favourite part of the journey, we will have an easy paved forest road for the return, some very safe “plus” tires and a comfortable full suspension E-MTB with powerful brakes and an adjustable seatpost to lower the saddle before starting the descent. 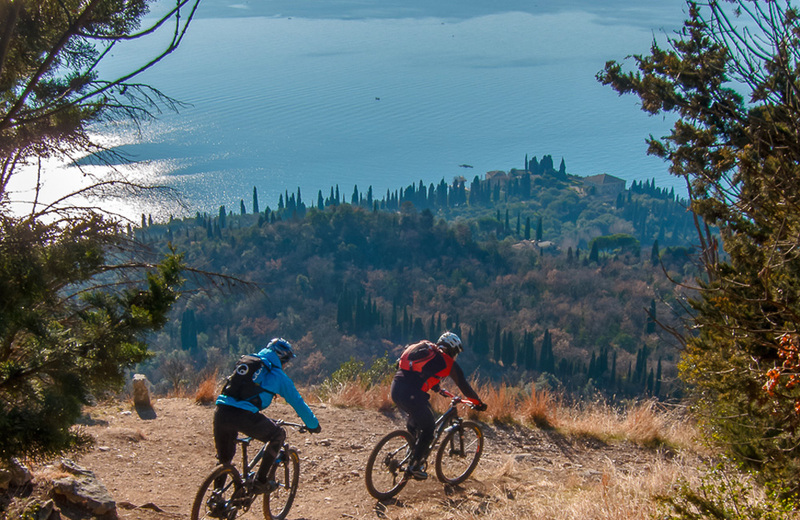 Finally, if you are a well trained rider and you want to start from the shores of Lake Garda, we will have 1,600 meters trail to ride down to the water of the lake. 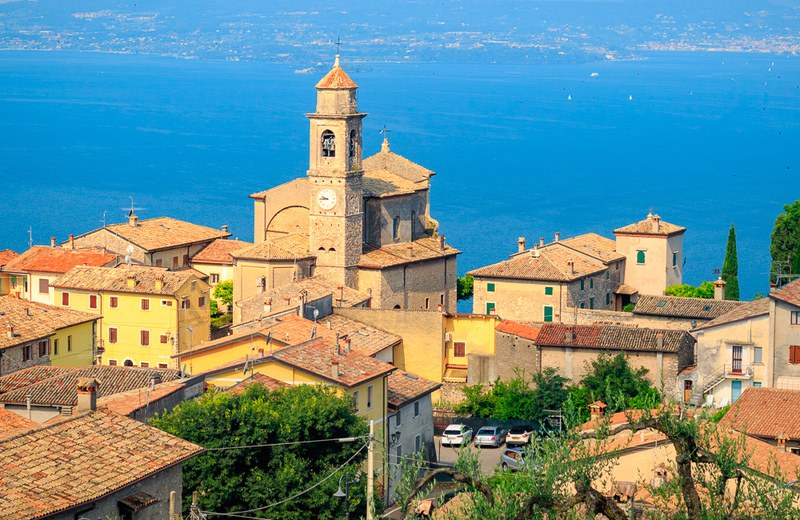 What do you think, is this tour perfect for your taste? 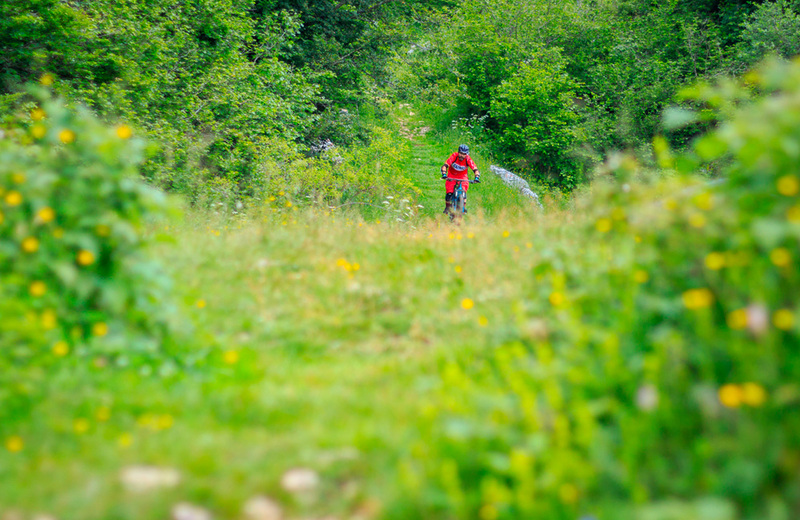 During the tour, I normally take photos of the riders and the landscape. Shots will be normally published on my instagram account and are available as file (free of charge) or prints (subject to prior agreement on delivery details). If you don’t agree to be portrayed let me know and I will avoid to include you as a subject. you will experience a new dimension. You can conquer new routes and enjoy an unprecedented driving experience thanks to the unique driving characteristics that only FOCUS electric bikes offer.